Same Day Service Guarantee ! Have A Plumbing, Heating or Cooling Emergency?Give Us A Call & We're On Our Way. If you’re looking for a plumbing or HVAC contractor near Indianapolis, Service Plus is the company to call. We employ highly trained, certified individuals whose goal is to provide the best customer service possible. Our services are comprehensive, so you can rest easy knowing that if you need a plumbing or HVAC service, we have the expertise and experience necessary to help. We offer a wide variety of services, including heating repair, plumbing repair, and AC repair in Indianapolis, Fishers, and the surrounding areas in Indiana. Never ask “where can I find HVAC or plumbing services near me?” again! If you live in the Indianapolis area, contact Service Plus now at (317) 434-2627! Why Choose Service Plus for Plumbing & HVAC in Indianapolis? We hire many U.S. military veterans as we believe that the qualities instilled in them during their training and service are a benefit to our customers. We strive to employ individuals who possess skills such as leadership, customer focus, and a strong work ethic allowing them to complete their work successfully and with quality. We take special pride in our team, a fact we hope you’ll notice immediately by the attitude and integrity we bring into your home. At Service Plus, we offer a wide variety of HVAC services to meet your every need. Whether you need repair, replacement, installation, or maintenance for your heating or AC system, our HVAC technicians have the training and experience to get the job done right the first time, every time. When your home’s plumbing system isn’t working properly, it can be hard to do basic daily tasks. Service Plus is here to help! Our comprehensive plumbing services include drain and sewer repair and replacement, water heater installation and repair, leak detection and repair, water filtration systems, fixture installation for bath, sinks, and toilets, and much, much more! If you’re looking for a reliable plumber “near me,” Service Plus is the name you’ll want to know. We understand many people have had bad experiences working with HVAC contractors in the past, so our goal is to make sure each contact you have with our heating, cooling, or plumbing specialists is a pleasant and helpful one. How do we accomplish this goal? By making your satisfaction our guarantee—that’s our promise! 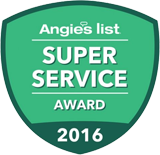 For reliable heating, cooling, and plumbing services throughout the Indianapolis area, look no further than Service Plus! From heat pump repair and furnace replacement to leak detection and sewer repair, we have experience delivering quality HVAC and plumbing work. If you’re looking to schedule plumbing or HVAC services in Indianapolis, Fishers, or the surrounding areas, don’t hesitate to contact Service Plus online or give us a call at (317) 434-2627! We provide HVAC and plumbing services to Indianapolis and the surrounding communities, including Anderson, Avon, Broad Ripple, Brownsburg, Carmel, Fishers, Franklin, Geist, Greenfield, Greenwood, Lawrence, McCordsville, Mooresville, Noblesville, Plainfield, South Port, Westfield, and Zionsville, Indiana. If you are not 100% pleased with the quality and craftsmanship of your installation, we will make it right.